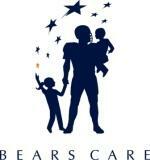 On Saturday evening May 12, 2012, Bears Care hosted the seventeenth annual Bears Care Gala, “Brian’s Song…So That Others May Live to Sing,” in the United Club at Soldier Field. The Gala, named in honor of Chicago Bear Brian Piccolo who lost his life to cancer nearly forty years ago, has raised over $10 million to battle breast and ovarian cancer since 1996. These diseases have touched all our lives in some way, and Bears Care is dedicated to raising funds to support research and treatment programs, and to helping find a cure. Thank you for your support.